I was checking out warrior forum this week and there were few bloggers who asked whether using PLR content on blog was a good idea or not. I want to lift some misconception and show you what you should do and what you should avoid while dealing with any PLR product. If you think of using it on blog let me remind you that there are others who have bought the same plr product like you which can bring duplicate content issues while using such article. Even if you do find some original content it doesn't mean that they can't be copied by others in future. 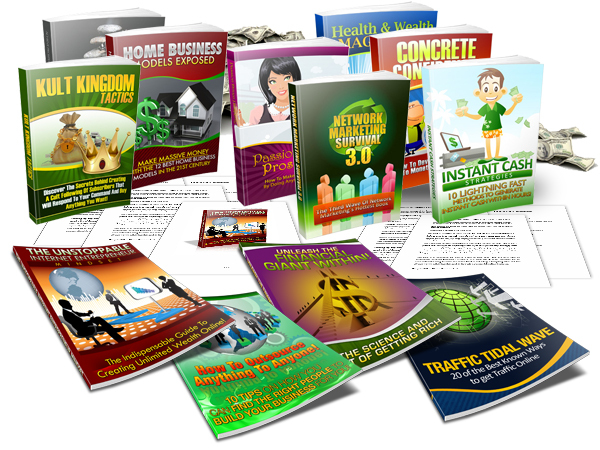 PLR content means one can use it anywhere as they like so others can do the same like you. Logically it doesn't harm to use PLR content but what it doesn't helps is that duplicate content doesn't liked by Google and hence it doesn't rank well on the search engines. If you are really looking for content for your blog you can get content written at dirt cheap from places like iwriter. It's really cheap and affordable alternative of using plr product. For a 700 word article you just have to pay 5$. So, it's better to drop such idea but don't worry there are numerous ways you can profit from a PLR product. If you have newsletter subscribers you can provide them with exclusive plr content as email newsletter and since these are not published on your blog they will find it important to stay on your email list. Most of time bloggers put so much hard on building their subscribers base that they forget to work on subscribers retention and i think as a blogger the most important asset you have is your subscriber base and if growing your subscriber list is important keeping them is even more important. There are bunch of podcast sharing sites which attracts a lot of traffic you can turn your PLR content into audio version and share them on itunes which will generate good amount of targeted traffic to your website. I know turning them might take some amount of time but creating something new from scratch can take even more time. One cannot think about internet marketing without social media. Now every people are running after social traffic and why not we have some large number of social giants such as Facebook, Twitter, Youtube and Pinterest with billions of users it's would be silly if one is not taking advantage of such vast audience. But wait you need content for such task every social media sites need some sort of content whether you are tweeting or sharing on Facebook all you need few contents. And there you can use PLR content don't worry if you need just 140 words for twitter you can copy some few good lines from the whole article and bang you got free twitter content. For using them on Youtube first you need to turn them into presentation using Powerpoint and then turn them into videos and hey! you just created some video content for free. Do you love free visitors to your website while doing nothing. Yes! you can easily get them all you need to do is few tweaks and you can easily use plr content for generating traffic There are many websites where you can share your eBooks and if you give them for fee you can attract lots of free downloads as people love anything for free and if you add links back to your website you can easily funnel those visitors into your website.Now here is the strategy find some relevant plr eBooks add your website links on some relevant contents and share the those in eBook download websites. The Strategy is same but this time instead of putting your own website links you can put affiliate offers within content so that you can earn affiliate commission. For growing your income just rinse and repeat the same and keep doing that and you can earn a large passive income without doing much work at the end. Vast majority of audience love reading kindle that's why amazon put so much value in kindle publishing what advantage of publishing kindle is that you don't need to do the marketing stuff if you found some good plr you just have to convert them into kindles and rest would be taken care by the amazon itself. What bloggers do mistake while doing list building is that they simple put subscribe form and just sit back to get subscribers most viewers these days are vary cautious about letting their emails just ask yourself how many times you have given your email for subscribing someones blog. Moreover people are often lazy to give their email you might think it just take few minutes to subscribe but whatever you might think it's too much work for a visitor because they didn't find value in what you what you expect them to do. Just the opposite you if make them feel value in subscribing your blog you can easily get them to subscribe.To add value you just have to put something on the line as a bait. And here PLR comes to rescue just put them and see subscribers rolling in but make sure you set up your autoresponders beforehand since people hate waiting and the more you make them wait you will lose your sale in future. Maybe using PLR content on blog can be a bad idea but that doesn't mean plr doesn't have any value if you know how to use them effectively then it can prove to be beneficial for your blog but while getting plr it really important to get it from decent sources such as IDPLR.com it's a membership based plr distributing website which will get you instant access to over 8000 plr products including graphics, content, ebooks and software.